I was determined to go to Japan to outstrip them all, to learn judo. It wasn’t to go to the Olympics, it was to become really, really good at judo. How very Canadian – I had a one-way ticket to the Olympics. 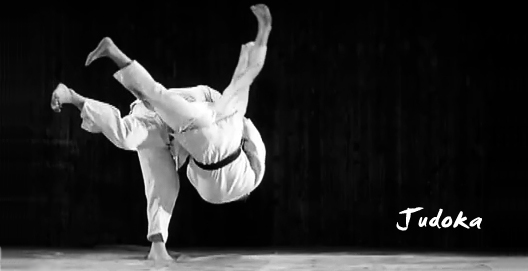 There was a link on a judo site to an old documentary called Judoka. It’s about a Canadian called Doug Rogers and his serious judo training in Japan. He was there from 1960 to 1965. He was obviously an exceptionally talented and determined judoka and he became one of the very best in the world. At the Tokyo Olympics in 1964 he won the heavyweight silver medal. It’s a very interesting documentary. It shows the training and life of a young martial artist in Japan. It was a simpler, more innocent time. On the wikipedia page about Doug Rogers there is a link to a thesis written about him by his daughter. It adds another dimension to the documentary. She interviews him about his life in Japan and together they go on a trip to Japan to try to make sense of the past. This free poem was very popular in post-war Japan. Aikido and judo are both on the same continuum of jujutsu. Judo became a popular sport and aikido remained more traditional. interesting, is it the same with aikido and judo Style?